Tir TaiPeter joined the Tir Tai Board in September 2015. He is also Vice-Chair on the Pennaf Board. Peter is a qualified Accountant who has extensive experience in both the Public and Private Sectors. 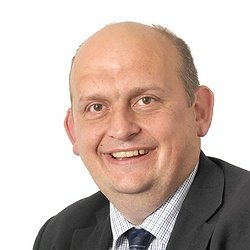 He is the former Chair of the North Wales Members Network of the Association of Chartered Certified Accountants (ACCA) and works as Head of Finance for the NHS Wales Shared Services Partnership.